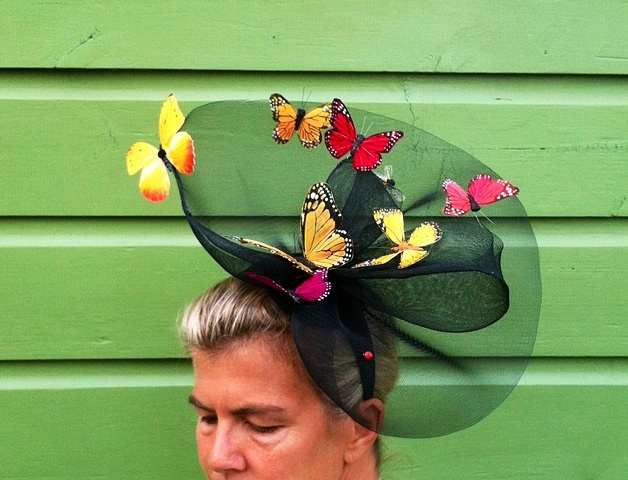 One of a kind Statement Fascinator. Complete with Silk, and feather butterflies, Tim the bee and a lady bug for good measure. Cause a scene in this creature filled creation.